Much more than an entertainment about a compulsive sexter, Weiner, directed by Josh Kriegman and Elyse Steinberg, examines the the 2013 New York City mayoral campaign of disgraced congressman Anthony Weiner, two years after his resignation from the House of Representatives. The candidate is fascinating: as one reviewer wrote, the film “captures him in the fullness of his ambition, passion, intelligence, serial contrition and bizarre self-delusion.” It also tracks the media response—horrified, fascinated, gleeful—and Weiner’s staff as they try to bottle escalating revelations and their own shock. 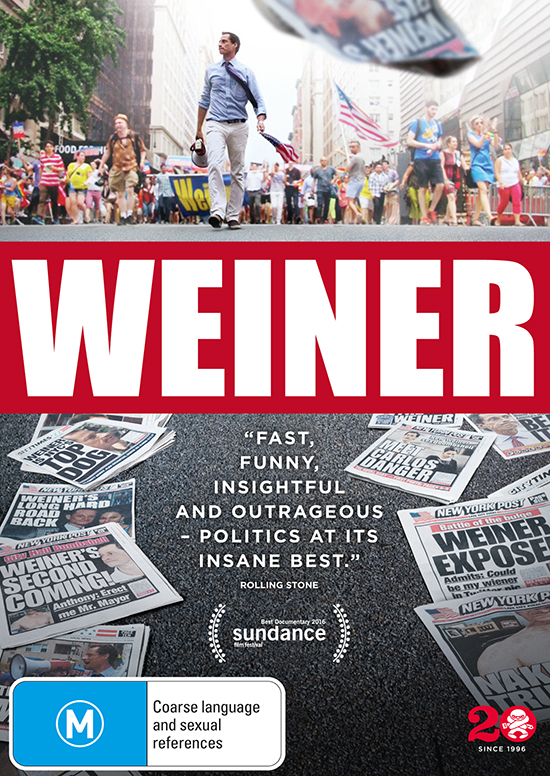 It’s amazing that Weiner gave himself, family and friends so willingly to his documenters, but the film reveals a personality whose courage and egotism lent him perfectly to the venture.